Registration for the 2019 MSF Men’s Basketball State Tournament! Below is the online tournament entry for the 2019 Men’s Basketball State Championships. STOP!! IF YOU ARE INTERESTED IN ENTERING THE MEN’S BASKETBALL STATE TOURNAMENT AND ARE CURRENTLY PLAYING IN AN MSF-SANCTIONED LEAGUE, YOU MUST BE ENTERED BY YOUR LEAGUE DIRECTOR! PLEASE LET THEM KNOW YOU ARE INTERESTED IN PLAYING. Please complete ALL fields below to complete the online tournament entry if you are not in an MSF-member basketball league. In the second text field, please include your team manager’s name, email, and snail mail address (there will be enough space). If you would instead prefer to register by mailing in a paper version of the entry form, along with a check or credit card info, you can download the paper application here: https://msf1.org/wp-content/uploads/2018/11/2019-Adult-BK-Flyer.pdf. All teams entering state tournament play should print and review the online advance tournament packet 30 days prior to their state tournament event. The packet can be printed here: https://msf1.org/?p=15021. To enter, register below using credit or debit card, or print, complete and return the entry form, with payment, to MSF (118 12th Ave N., South St. Paul, MN 55075). PLEASE COMPLETE ALL FORM FIELDS! 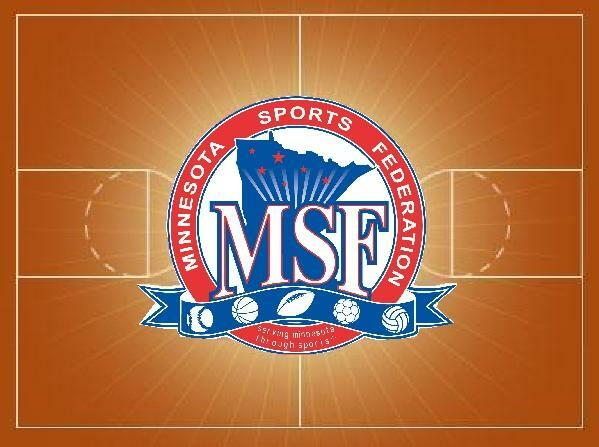 Copyright ©2008-2025 Minnesota Sports Federation. All rights reserved.